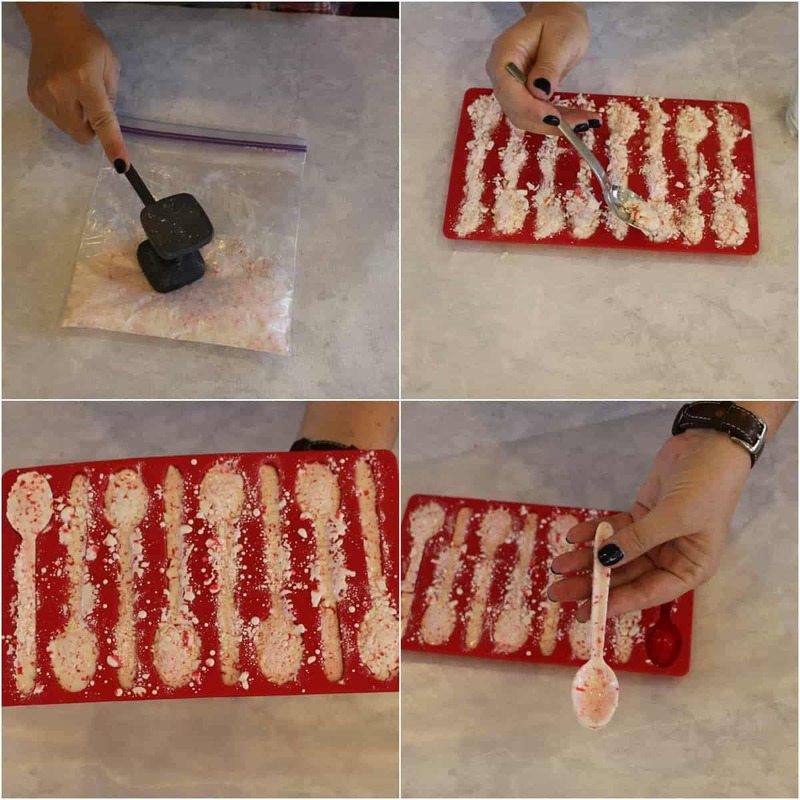 These Peppermint Candy Spoons are the perfect DIY Christmas Gift! 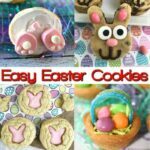 They are easy to make and are the perfect gift for Teachers, Friend, Co-workers and family! If you are looking for the perfect holiday project and DIY Christmas gift, then look no further! 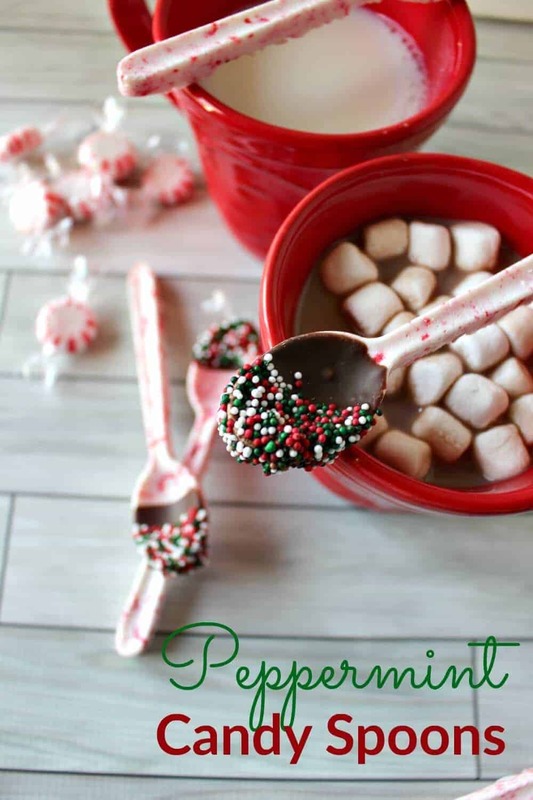 These Peppermint Candy spoons are so easy to make and if you pair them with a cute mug and some hot chocolate, they are perfect for a holiday gift exchange. So it is possible I may be a little obsessed with making things out of melted candy! Ever since my Peppermint Candy Dish and Peppermint Shot glasses, I have been busy in my kitchen melting away! But let’s get back to today’s project! 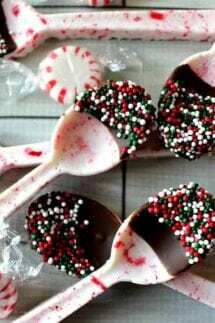 I want to share with you one of my personal favorites – DIY Peppermint Candy Spoons – eeeeeeeekkkkkkk these are SOOOO cute and, of course, they are really easy to make! Disclosure, you do need a silicone spoon mold. 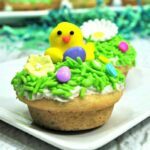 I got mine here (click link) – it says it is for microwaving chocolate, but I used it in my oven over and over – no problem! 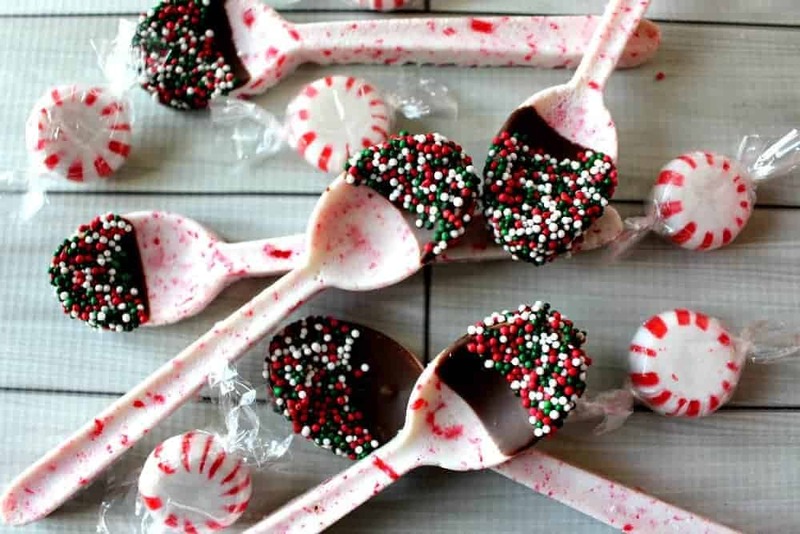 Here are the items you will need to make Peppermint Candy Spoons! Silicon Spoon Mold (got mine here – click link) – They sometimes sell out around Christmas, so get it early! Others will work too, but just make sure that you are allowed to put them in the oven. WATCH THE HOW TO VIDEO!! In a ziplock bag, crush the peppermints (I used a kitchen mallet). Use a teaspoon to fill the spoon mold with the crushed peppermint - be sure to put extra by the top of the spoon part and at the neck of the spoon (where the spoon and handle meet). These are areas that break easy. Place in oven and let melt completely. Mine took about 10 minutes, but every oven is different and you just have to watch it. Once it was pretty melts (about 8 minutes in or so) I took mine out and added some additional crushed peppermint wherever it looked thin. (the peppermint melts down a bunch, so you may have to fill it in) - then I let it cook for a few minutes longer. Separate the sides from the candy carefully and remove. If one breaks, just add some more crushed peppermint and cook for a few minutes more. Optional - Melt the chocolate candy melts according to instructions on package. Did spoon end into the chocolate and immediately dip into sprinkles. Place on wax paper until dry. 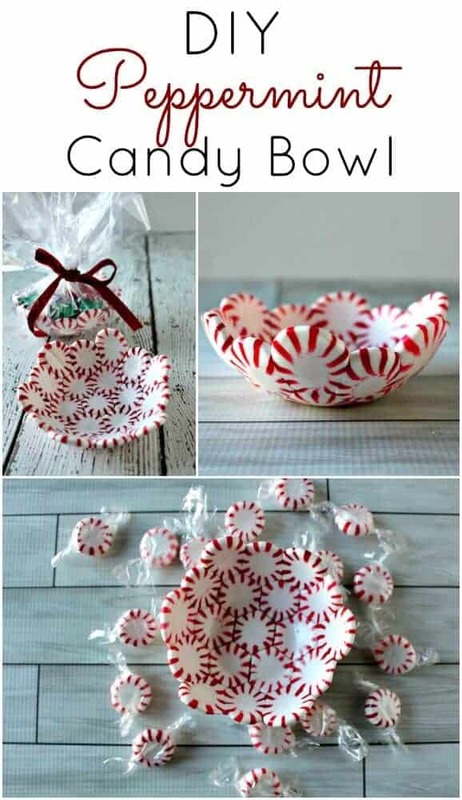 DIY Peppermint Candy Bowls – these are SO easy to make and also make amazing DIY Christmas Gifts! We hand them out to our teachers every year and they love them! 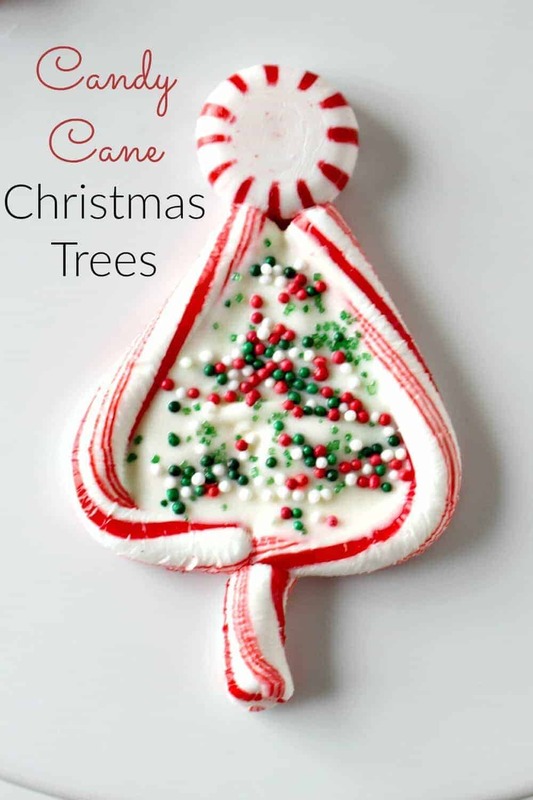 Looking for an fun and easy project to make with your kids – these Candy Cane Christmas Trees are really fun and make great treats to pass out. 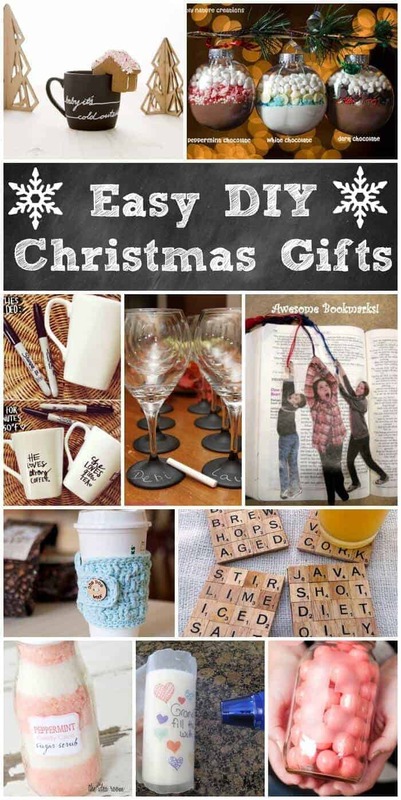 Check out all of these Easy DIY Christmas Gifts for more great ideas! Hi! Thanks so much for your tutorial on these fun spoons! I struggles with it, so to make it easier I placed a candy cane with the hook broken off down the spoon handle. Then placed the curved part of the hook in the spoon bowl and put a starlight mint in the spoon also. Put it in the oven and it melted down perfectly! I have a picture of how I placed everything if you’d like to see it.